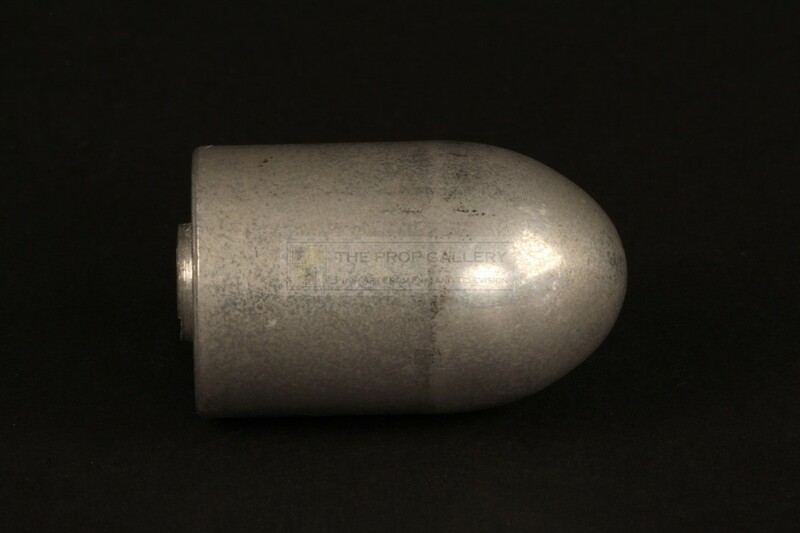 An original prop used in the production of The Matrix, the 1999 science fiction action picture starring Keanu Reeves. 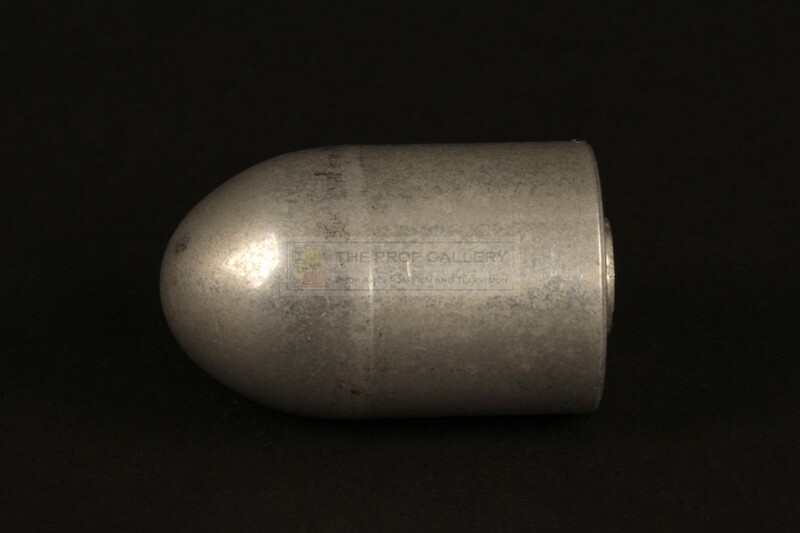 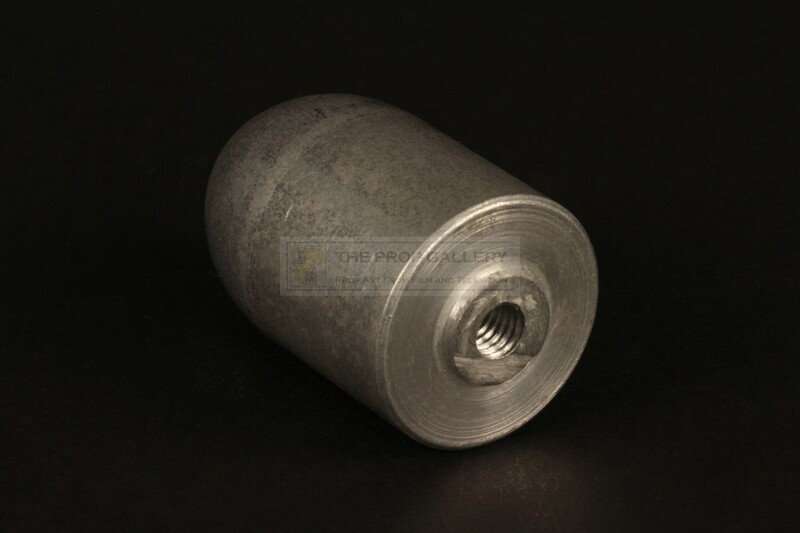 This prop bullet was custom made for use in the production of the memorable slow motion sequences filmed using the pioneering "bullet time" technique. 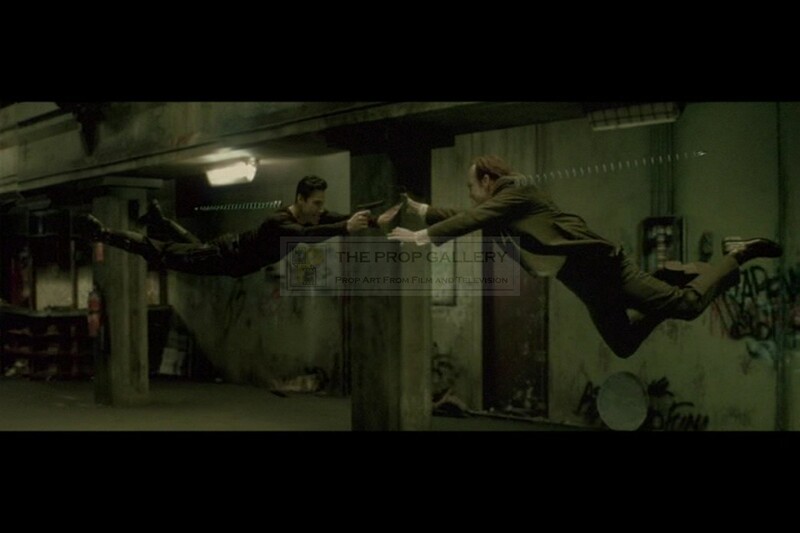 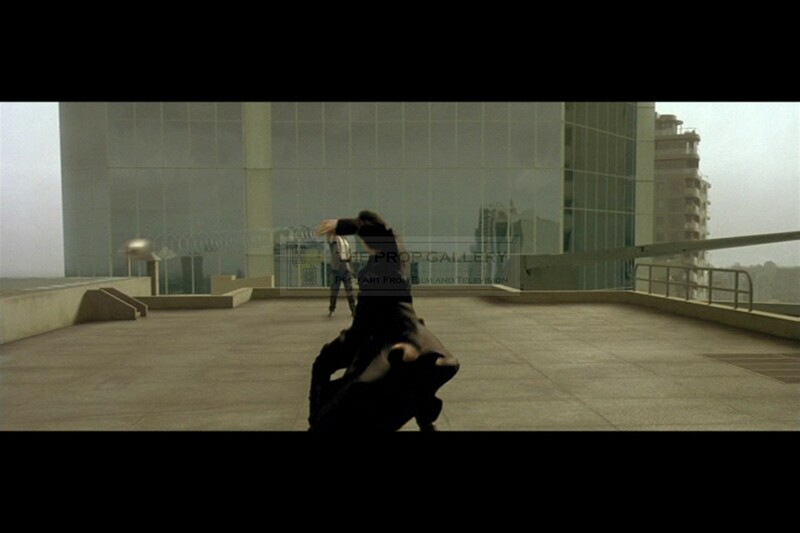 Visual effects on the movie came from Manex headed up by John Gaeta and Janek Sirrs who were responsible for creating the slow motion bullet movements and wakes that followed them, this achieved via green screen compositing and computer generated imagery. 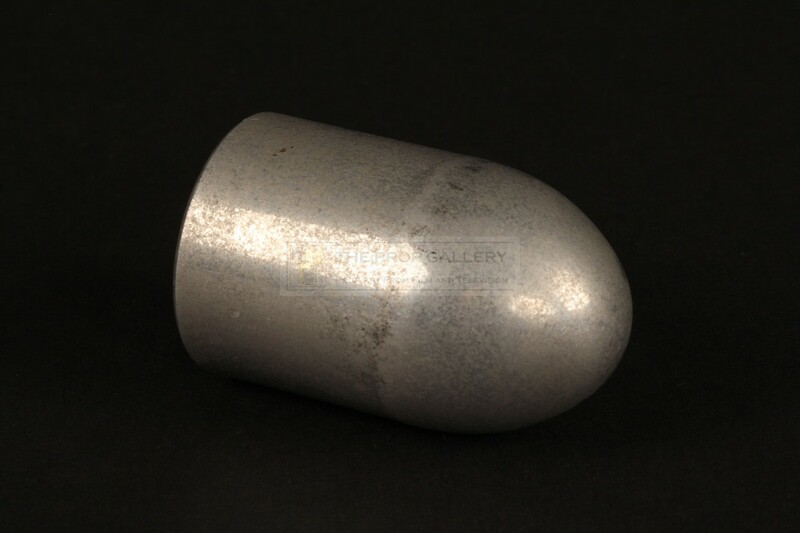 This large oversized bullet is constructed from turned aluminium and features a thread to the interior of the flat side where it could be rigged during the production, bullets such as this were filmed as separate elements and also scanned and mapped onto digital geometry software to render the bullets and their wakes digitally. 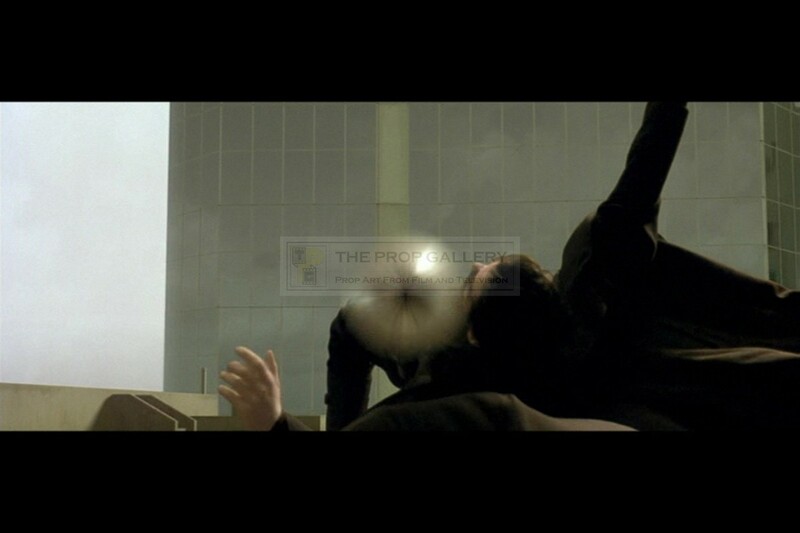 The innovative effects of the film were recognised at the highest level with John Gaeta, Janeck Sirrs, Steve Courtney and Jon Thum receiving the Academy Award for Best Visual Effects. The oversized bullet measures approximately 1.5" long and 1" in diameter, it remains in excellent production used condition with some light surface wear, very fine. 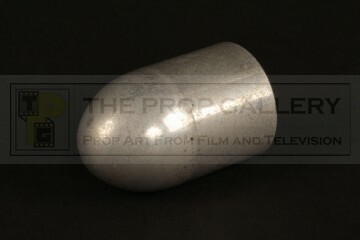 A significant and highly displayable artefact from this Academy Award winning and critically acclaimed box office smash.